QWERTY is derived from the first six keys from left to right sequentially on the far left portion of a standard keyboard just below the number keys: Q-W-E-R-T-Y. The QWERTY layout was designed to prevent people from typing common letter combinations too quickly and thus jamming the various metal keys on early typewriters as they moved to strike the paper. In 1932, August Dvorak tried to improve the standard QWERTY keyboard configuration with what he believed was a more efficient layout. His new layout placed the vowels and the five most common consonants in the middle row, but the layout didn't catch on, and QWERTY remains the standard. Although you rarely see a typewriter anymore, the QWERTY keyboard layout remains in widespread use. 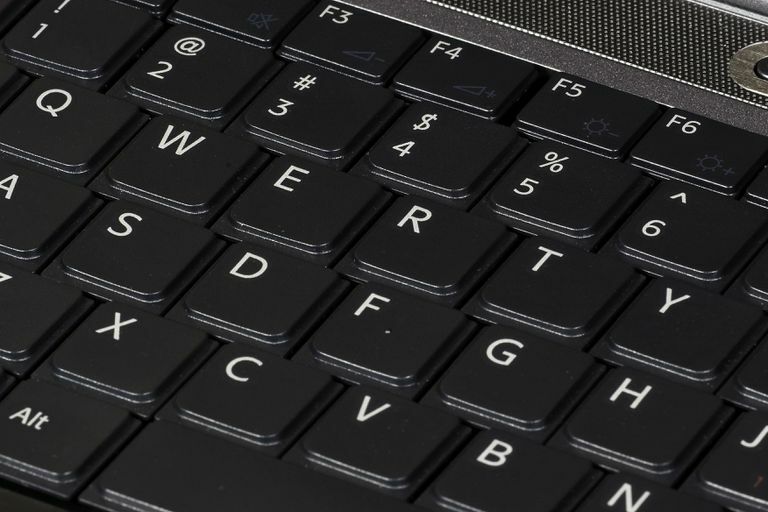 The digital age has made a few additions to the layout such as an escape key (ESC), function keys, and arrow keys, but the main portion of the keyboard remains unchanged. You can see the QWERTY keyboard configuration on almost every computer keyboard in the U.S. and on mobile devices including smartphones and tablets that include a virtual keyboard.